The dining room is a perfect place to indulge in memorable moments with family and friends. From the daily dinner time to joyful family gatherings and occasional lavish dinner parties, there’s so much that we do in the dining room. Therefore, it is obvious that the interior design of the dining room should match its versatility. Besides this, the design of your dining room should match with your personality and taste. With hundreds of design elements available today, you can literally remodel your dining room in numerous ways. While this is great, but it can also leave you confused as to what design to go with. We, at Task Masters, have made things simpler for you by carefully preparing the list of stunning dining room design ideas for you so that you can go with the one you like. Check out this list and let us know your favorite one in the comments section below. 1. Bring in the Wood. 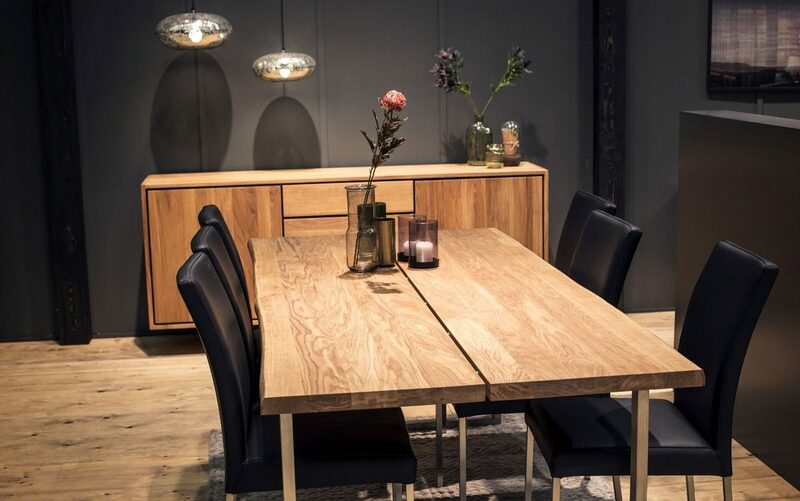 Wood is a classic design element that can find its space in every room of your house and dining room is no exception. Wooden design is so appealing that it turns your meal-time into a perfect and beautiful experience. 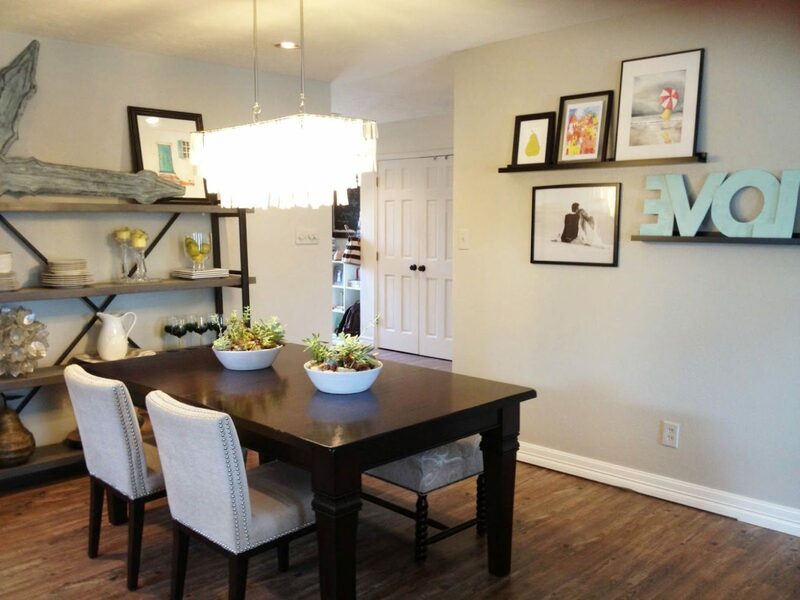 You can incorporate wooden floor, ceiling or even walls into the dining room. Or you can have wooden chairs and a table. Don’t forget to compliment the design with some awesome finishing. Nothing is more relaxing than having the dinner under the direct sight of stars. This design is about the ceiling of the dining room having some part of ceiling made with glass. 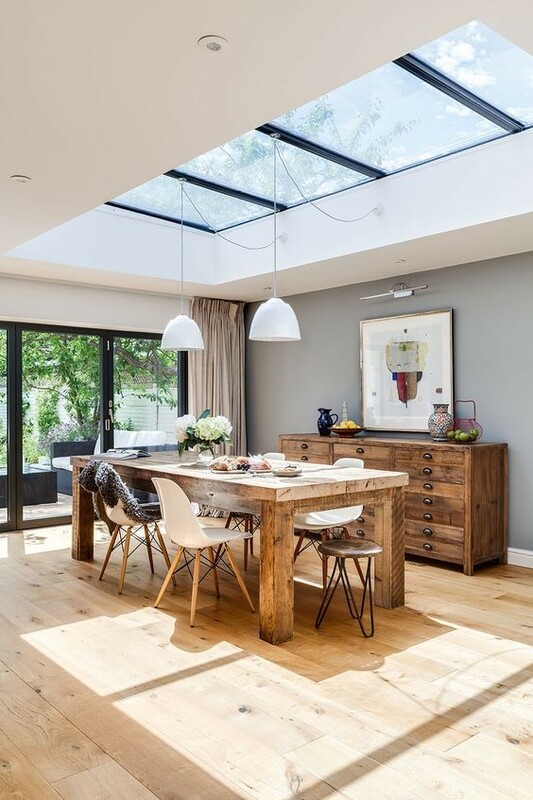 This not only brings natural light into the room but also creates a stunning look. Make sure you hire the best renovation company in Dubai to do the job for you as it requires services of professionals and experts. This design is gaining popularity and is surely going to dominate 2019! Lighting elements are great design elements that completely give a new look to your dining room. Today, we have so many lights available which are of different tones and designs. 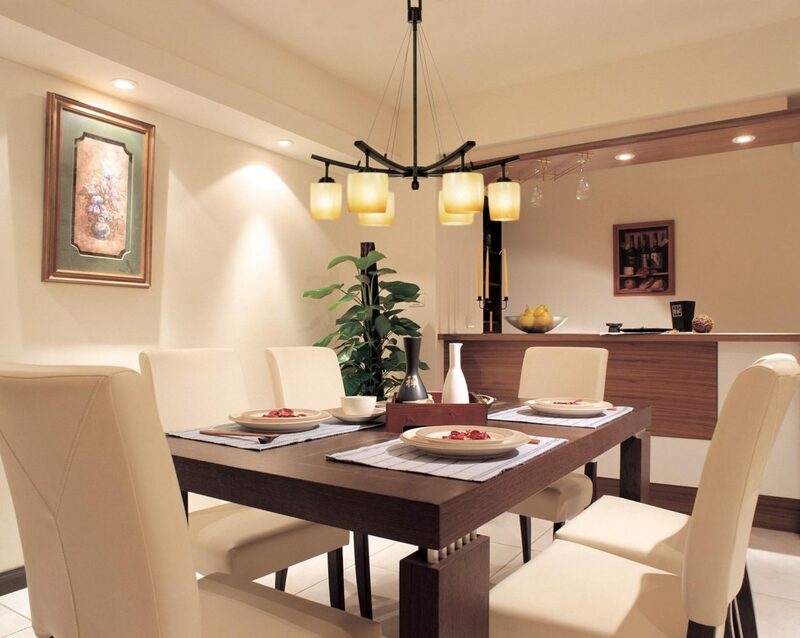 Incorporate one big hanging lighting element directly over the center of the dining table. Make sure you choose the best design of the lights as they are going to be the center of attraction of your dining room. Be creative in selecting the tone of the lights too. If you are kind of a person who likes minimalism then this dining room design is for you. Minimalist design is characterized by least amount of design elements, perfect lines, and shapes. Beauty is in simplicity, and this design proves that. This design banks on space and perfectly crafted design elements. This design surrounds dining table and chairs with glass walls. This is one of the most popular dining room designs. The idea is to have two adjacent walls made of glass and decorating the dining table at the intersection of the two walls. It brings in natural light and provides the best dining experience. This design incorporates the kitchen and the dining room into one. This is an open floor plan which saves a lot of space. This design requires a perfect blend of creativity and execution. However, make sure that you don’t clutter the design with unnecessary elements as it should kept simple and basic. 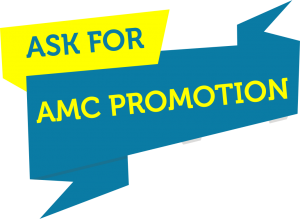 To get this right, hire the home renovation company in Dubai so that everything is done perfect without facing any difficulty. Winding this up here, these were some of the best dining room renovation ideas that you can try. We hope you got the right one for you. For any further consultation regarding home renovation, home maintenance services in Dubai or any other home improvement job, contact us as we, at Task Masters, are always ready to help you.